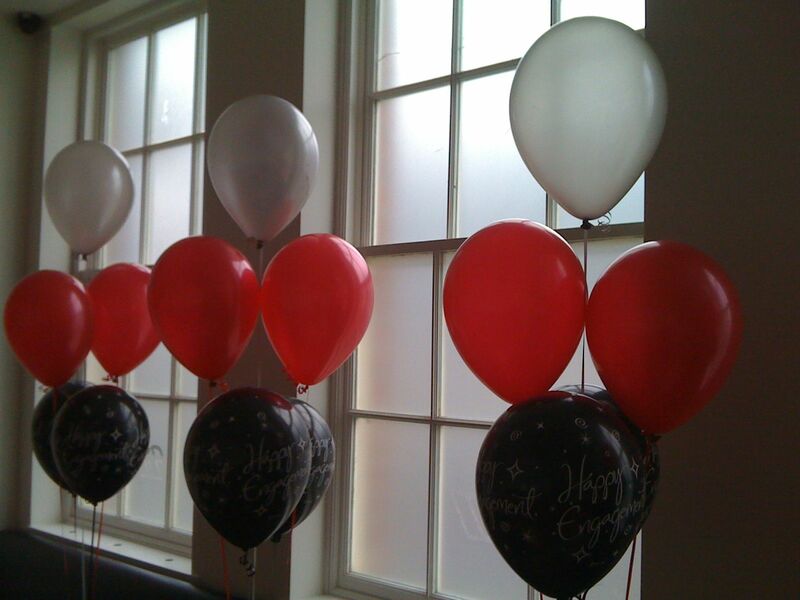 Design Studio Balloons – Please call 0114 2683033 to place an order // Telephone and walk in orders only! Please call 0114 2683033 to place an order // Telephone and walk in orders only! 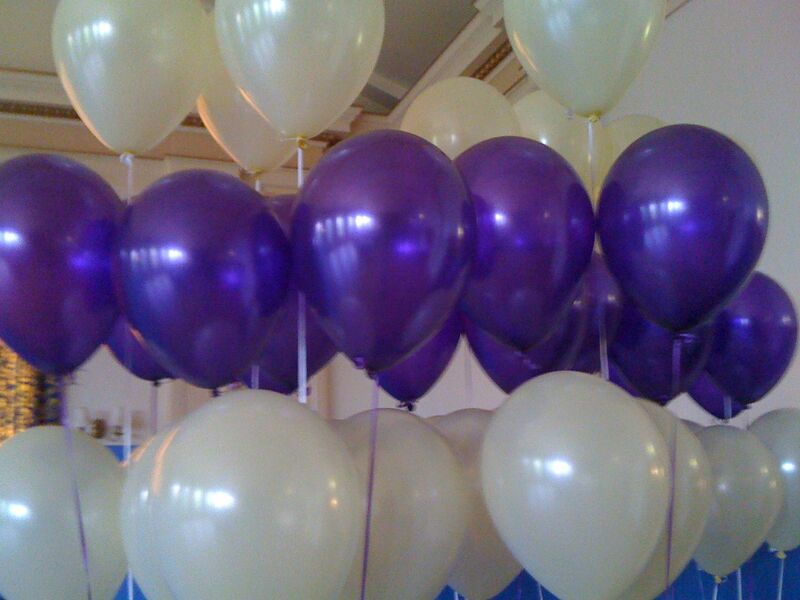 We are specialists in Balloon arrangement and have over thirty years experience working in the field. 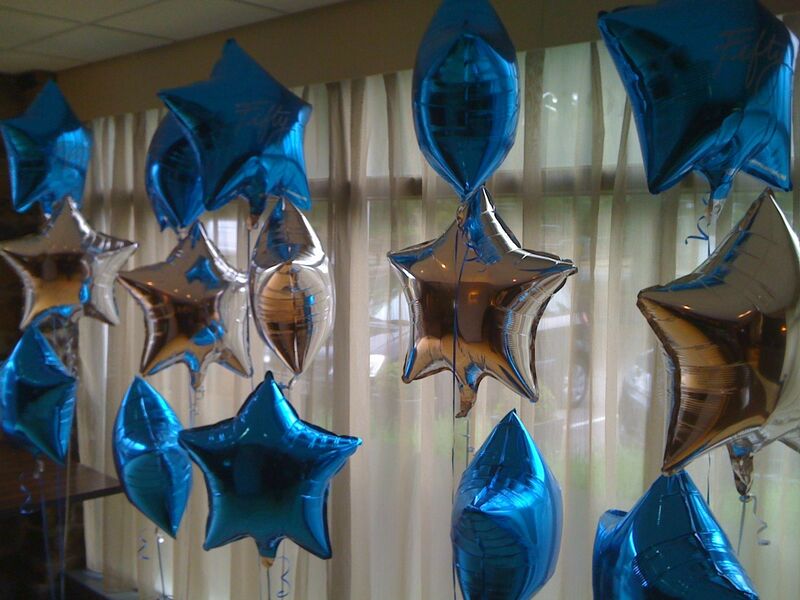 The most important factor when considering balloons for an event is lifespan. Latex balloons have a typical maximum float time of 20 hours. This means that they need to be inflated on the day of your event, and for best results as close in time to the event start as possible. We can extend the lifespan of latex balloons by up to 4 or 5 days by injecting them with a product called Hi-Float. This comes at an additional cost of 25p per balloon but allows greater flexibility if you need to store balloons overnight or cannot collect them on the day of the event. All our latex balloons are Qualatex brand and are 11 inch diameter at a base cost of £1.00 each or £1.25 each if treated with Hi-Float. Foil Balloons are metallic foil balloons which offer a greater lifespan of 4 to 6 weeks. 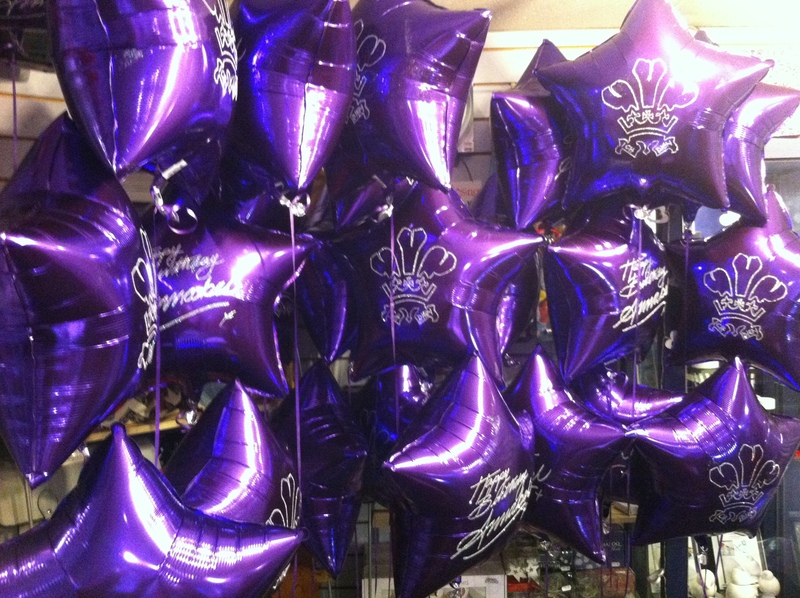 Foil balloons start at £4.00 each. Other popular foil balloons are our Personalised Balloons (click here for more information) and Super Shape number balloons at £11.00 each. 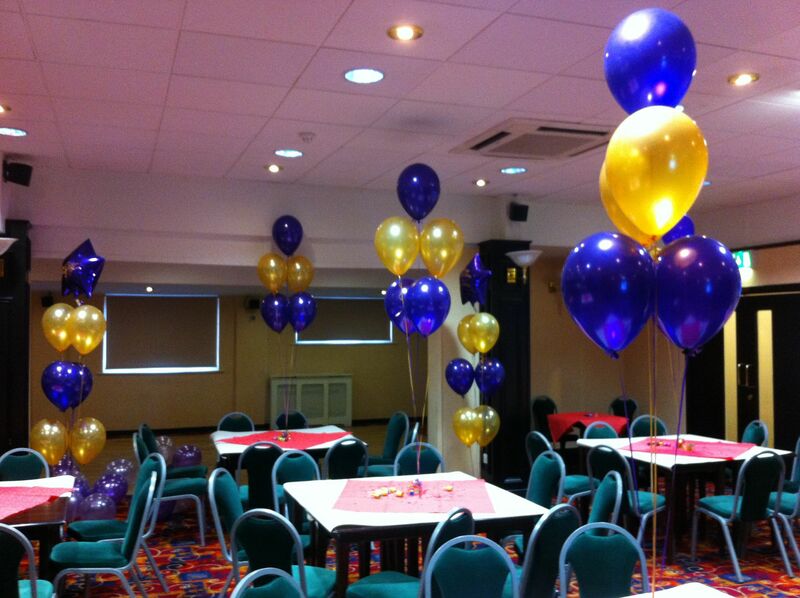 We specialise in helium filled balloons and all of our prices are inclusive of helium. 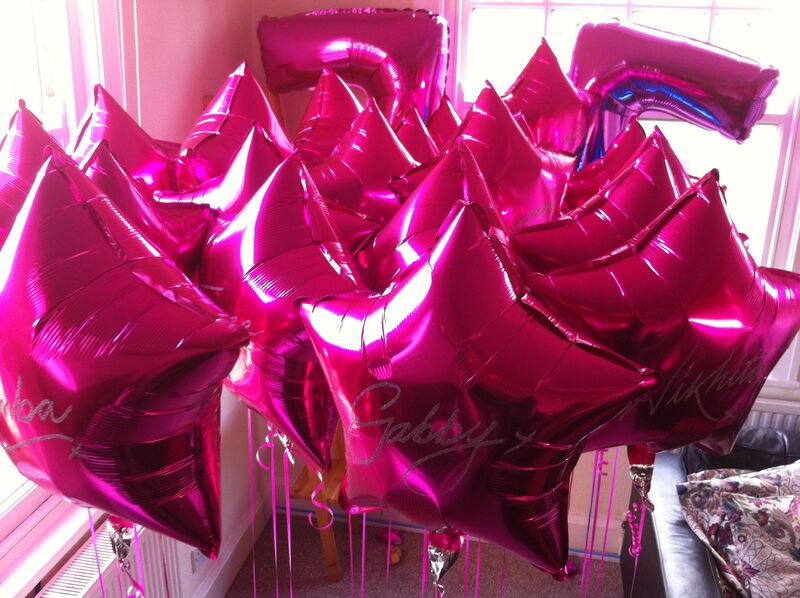 We are also happy to fill balloons bought elsewhere and offer competitive prices on helium. We do not however offer helium canisters for rental nor do we recommend disposable canisters. We offer a delivery and arrangement service for orders over £50.00 in value or in close proximity to our store (prices start from £15). For more information please call the number below.